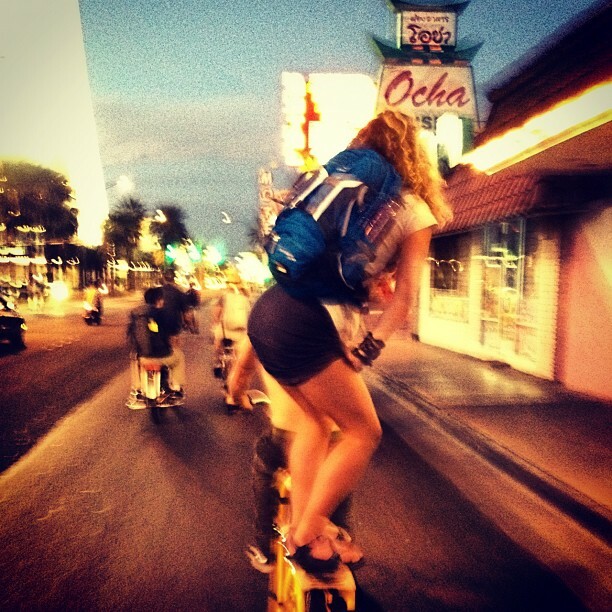 We’re riding a Mobile Social with our friends from Austin again, but this time in Vegas during SXSW V2V. If you’re in town for the show, or a local, join us. V2V is at the Cosmopolitan and we’re meeting at the Bellagio Fountains at 7:00 PM and then riding to the Music Showcases. Here’s what the MoSo looked like last year, including some surfing.